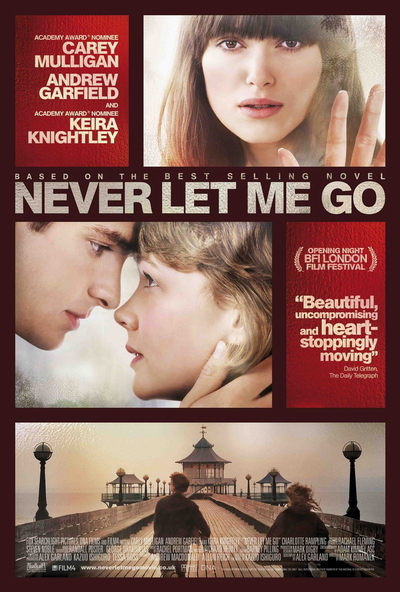 Story: Never Let Me Go is a poignant love story, adapted from Kazuo Ishiguro's bestselling, Booker Prize short listed novel of the same name. As children, Ruth (Keira Knightley), Kathy (Carey Mulligan) and Tommy (Andrew Garfield), spend their childhood at a seemingly idyllic English boarding school. As they grow into young adults, they find that they have to come to terms with the strength of the love they feel for each other, while preparing themselves for the haunting reality that awaits them.